The urbz team, invited by the community leader of the Manila neighborhood, Claudina, visited the site. 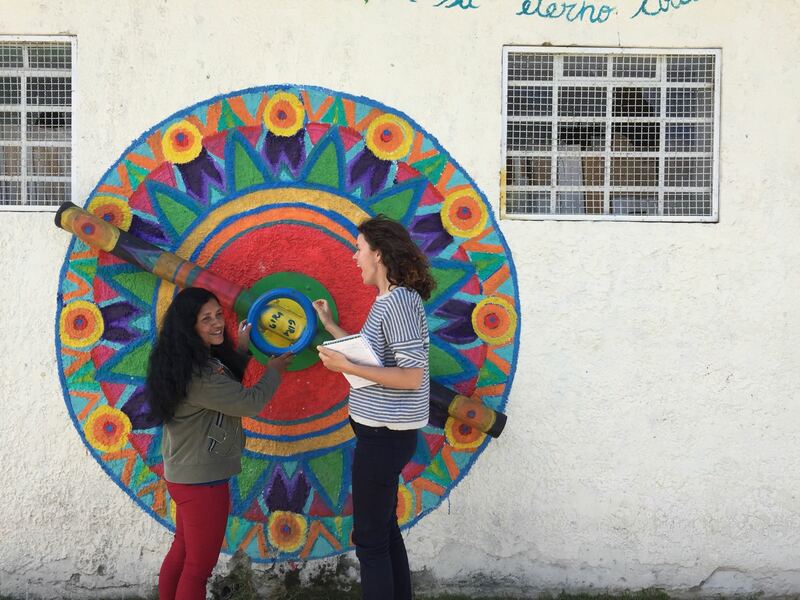 She introduced the neighborhood and showed different spaces of importance to the community. 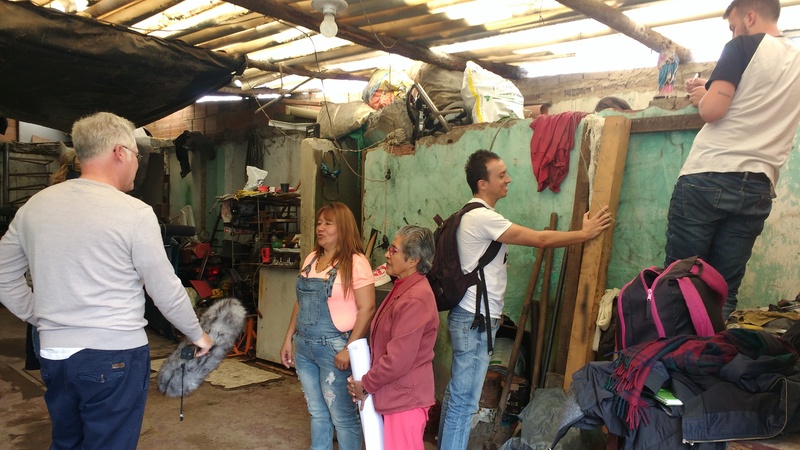 This was followed by an interaction with the members of the community who narrated their history as the group walked around the barrio. This helped the team build a collective memory of the neighborhood through several individual stories, which is an important step in the participatory urbanism process. The process thereby helped identify and establish a context in which the project would evolve. 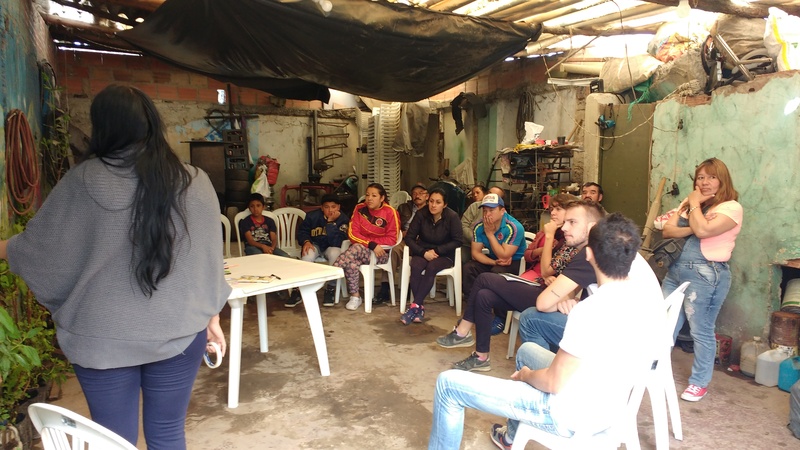 It was during this visit that Claudina told the team that it is a dream of the people of the barrio to have a community center. 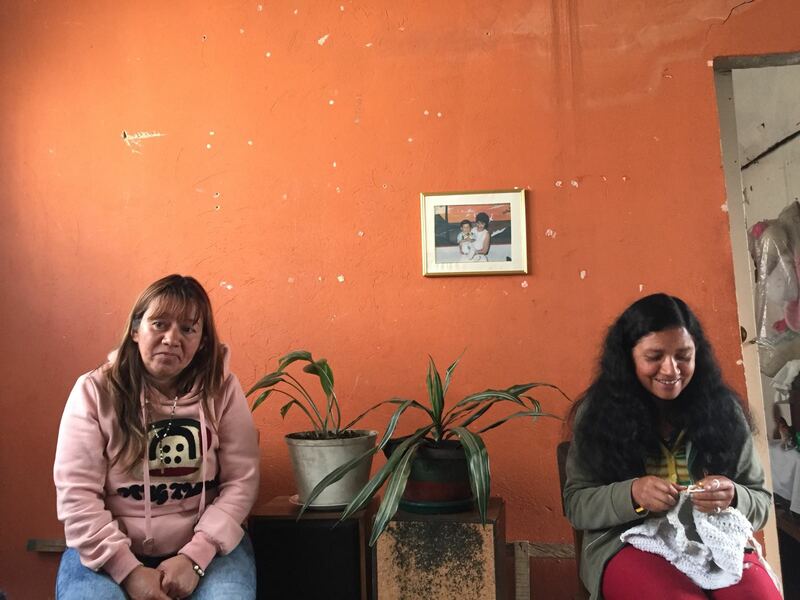 It was during the second visit to the site that the team encountered a number of interesting people also engaged with the very same community and representing a range of diverse interests. 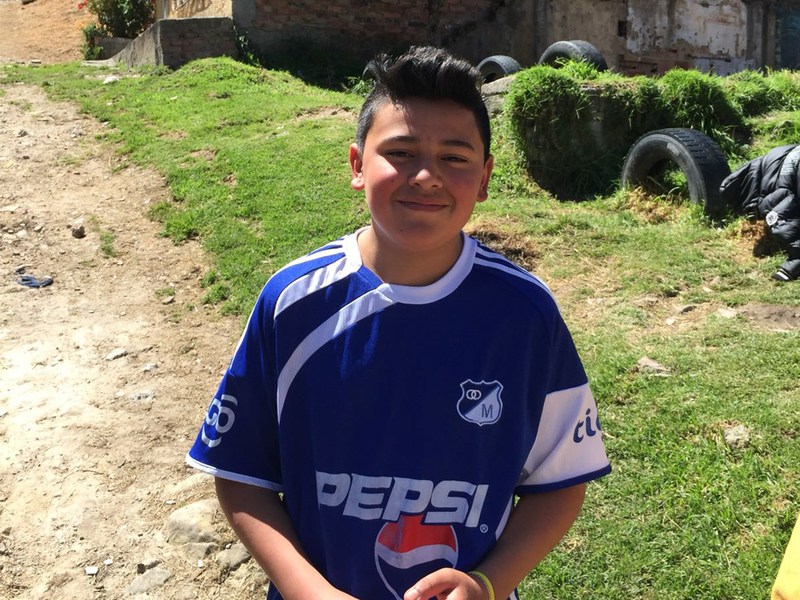 a) A young boy, a budding filmmaker, is making a movie using the community and its surrounding neighborhood as a backdrop. b) Alba, a woman who had worked with several women of the neighborhood and created handloom goal nets for the local futbol (football) ground. 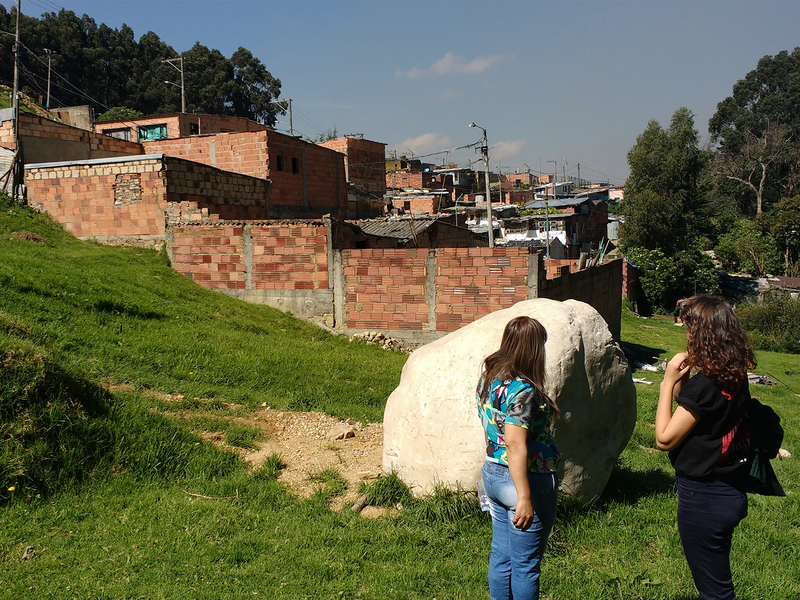 Following these encounters, a graphical representation of the entire neighborhood was made that shows the important landmarks, the location of the upcoming community center, the people met during the visit and some interesting stories. 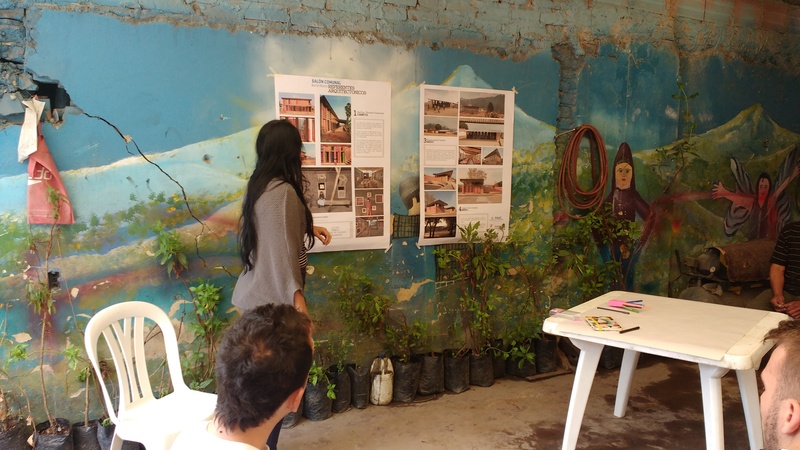 The urbz Colombia team comprising of Andres, Paola and Juliana had a discussion with the residents of the neighborhood led by Claudina, the community leader, in which Juliana presented a set of references for similar community centers from different parts of the world that used similar set of materials and have a similar context. The intent was to open up the residents to different ideas for their community center. 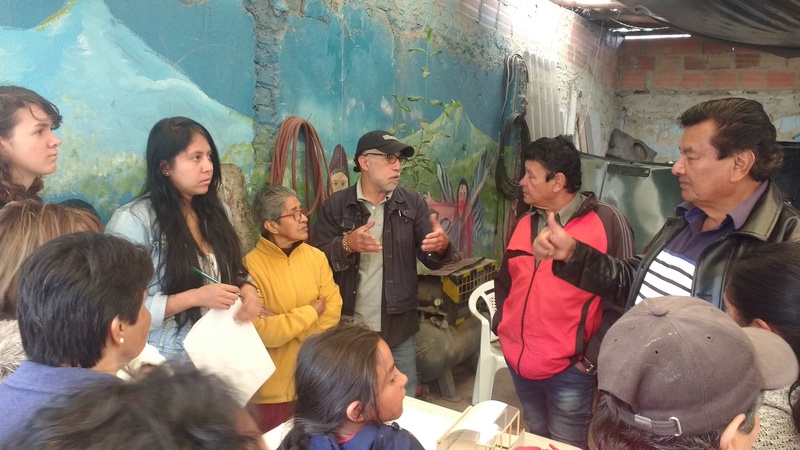 The workshop also included a detailed discussion of the history of the neighborhood from the beginning and consequently a timeline was established. It shows certain important events such as the first time the neighborhood received water supply and when it gained a legal status among other dates. 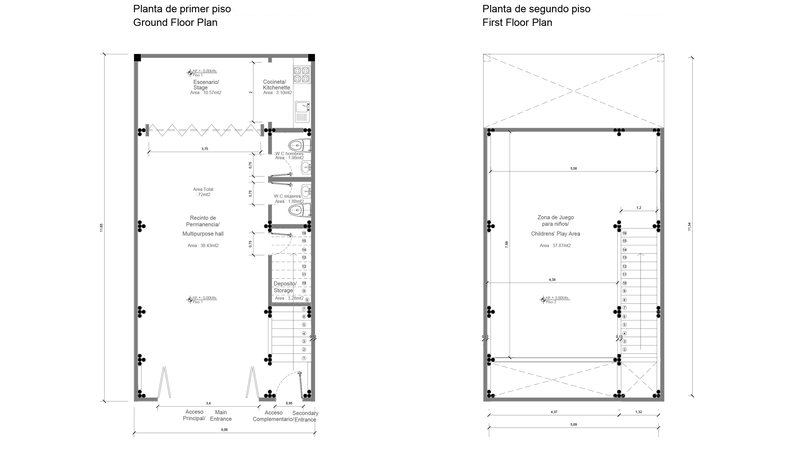 A set of programs for the community center was decided. For example, it was during this meeting that the residents pointed out a need for toilets in the community center. The material chosen for building is Guadua Bamboo, which is the largest variety of bamboo found in the region. In South America, Guadua is widely used in construction or for making engineered laminated panels. The second workshop with the local community is the most recent interaction with them. 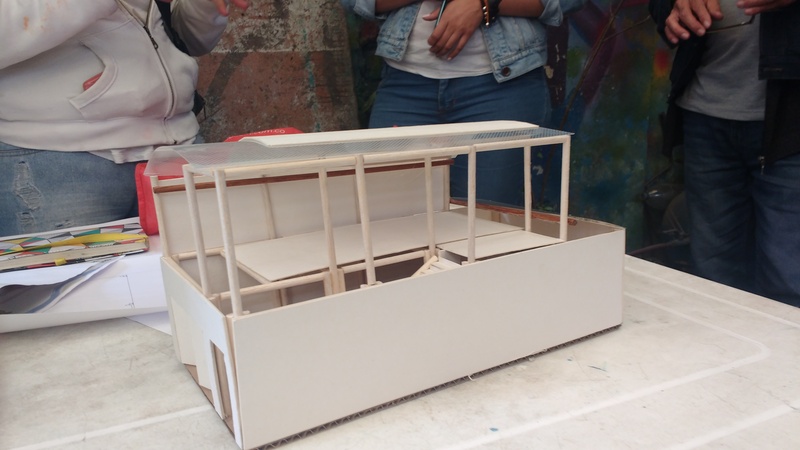 A model of the community center was shown to the people that had several movable parts to enable the people to discuss and decide the kind of spaces they want. It was during this discussion that the plans for the project were finalized. 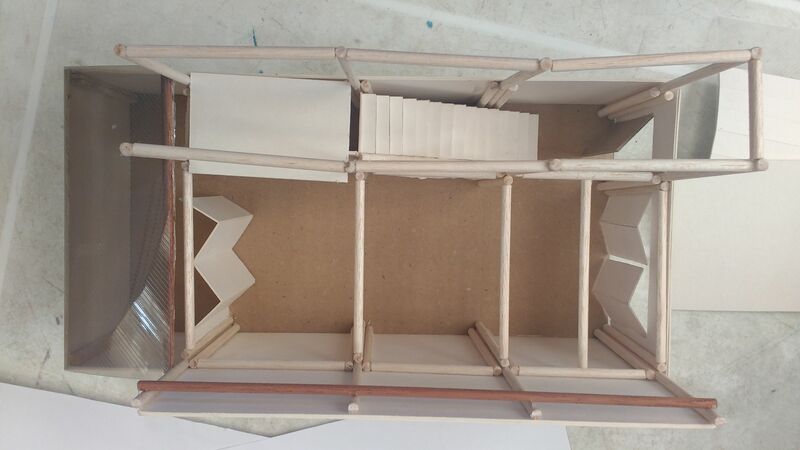 Guadua Bamboo will be used as a structural member as well as for the façade and the exact structural configuration of the members is being worked out in conjunction with professors in the structural department at the University of Piloto. The team is also working out the sectional and elevation design for the center. Soil test was conducted by digging holes at several points on the site in order to determine soil characteristics required to design the structural members. The final step in the process is to show the complete design to the community and begin the construction process in association with the residents and led by the urbz team. Watch this space for further updates regarding the Manila Project.